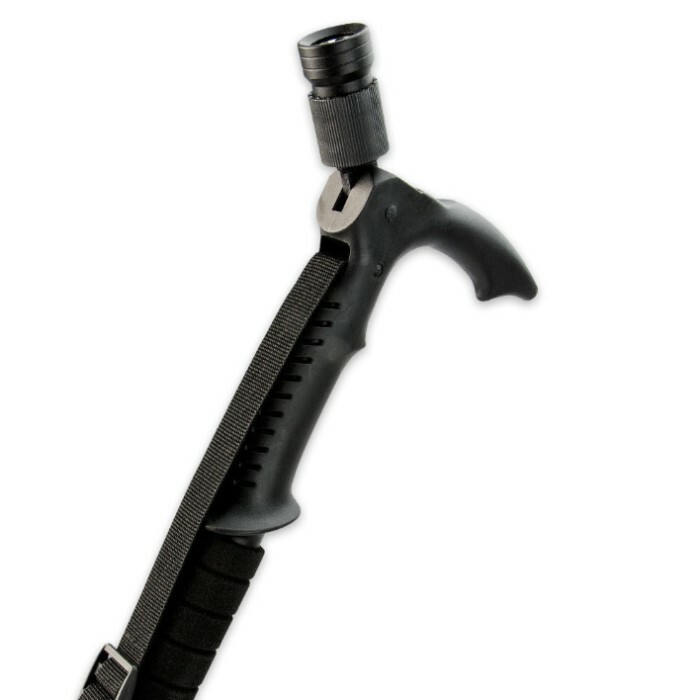 Illuminated Collapsible Walking/Hiking Stick | BUDK.com - Knives & Swords At The Lowest Prices! The Illuminated Collapsible Walking/Hiking Stick is great for use in the city or the wild. 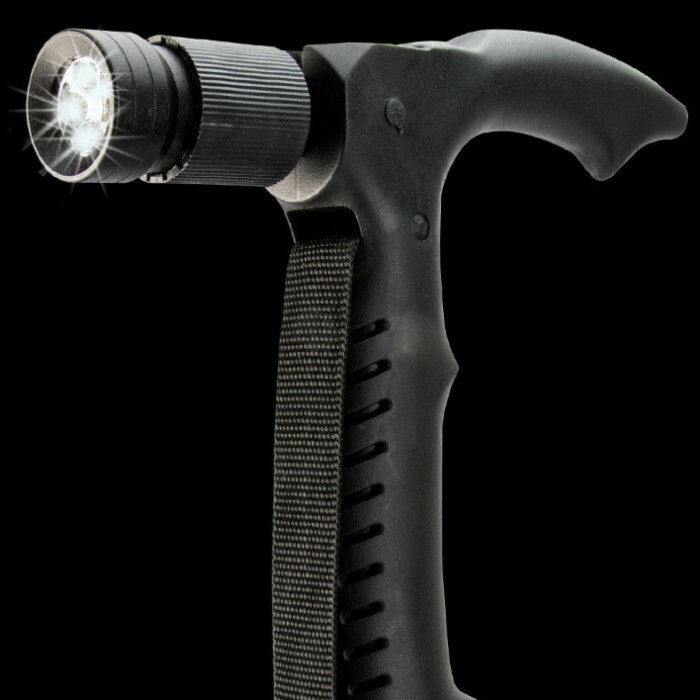 It features a super bright white LED light in the handle. 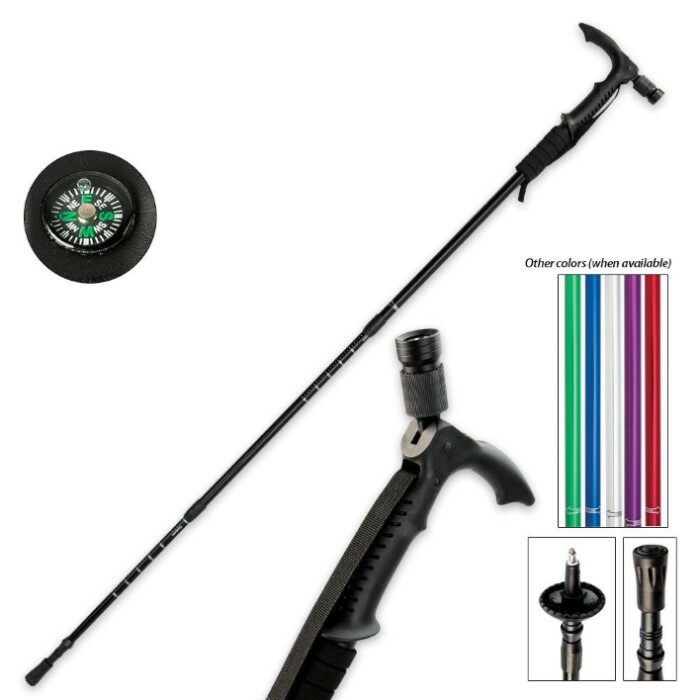 It has a sturdy aluminum body with a snow and dirt guard and a removable metal reinforced rubber tip. The three collapsible sections will take it down to 22” when closed and it has an extended length of 58”. It also has a durable nylon wrist strap.